The project explores discrepancies in the ways the Ottoman past is narrated to ‘knowing’ observers and cultural insiders in the context of Thessaloniki’s urban life. Acknowledging the situational nature of socio-cultural representation, it seeks to analyse understandings of historical legacy (material, embodied) from the standpoint of both locals and outsiders/visitors. It addresses the following questions: (a) How is Ottoman ‘Orientalism’ understood by locals and outsiders and used/performed by knowing insiders for internal and external audiences? (b) What impact do interactive constructions of Orientalism have on expressions of modern Thessalonikiote identity? In recent years, the international trend of rapidly rising state punitiveness has reinvigorated interest in political economy models of penological analysis. However important this shift, emerging scholarship has often been limited by its domestic and Western-centred foci. In contrast, and using modern Greece as its case study, this project draws attention to the global dimensions of capitalism as these influence levels and patterns of punishment within a semi-peripheral society. Sappho Xenakis interviewed about the crisis in Greece on BBC World News Today, 11 March 2010. Xenakis, S. and Cheliotis, L. K. 'Έγκλημα και Ανασφάλεια' [Crime and Insecurity], Κυριακάτικη Ελευθεροτυπία [Sunday Eleftherotypia], 12 April 2009, pp. 44-45. Cheliotis, L. K. and Xenakis, S. ‘Violent Crime in Greece: The Structural Roots of the Problem’, Athens Plus weekly (published by Kathimerini and the International Herald Tribune), 13 March 2009, pp. 4-5. Cheliotis, L. K. and Xenakis, S. 'Public Support for Prison Protests: Greece in the Spotlight', Statewatch News Online, November 2008. Herzfeld, M. (2009) Evicted from Eternity: The Restructuring of Modern Rome. Chicago, IL: University of Chicago Press. Modern Rome is a city rife with contradictions. Once the seat of ancient glory, it is now often the object of national contempt. It plays a significant part on the world stage, but the concerns of its residents are often deeply parochial. And while they live in the seat of a world religion, Romans can be vehemently anticlerical. These tensions between the past and the present, the global and the local, make Rome fertile ground to study urban social life, the construction of the past, the role of religion in daily life, and how a capital city relates to the rest of the nation. Michael Herzfeld focuses on Rome’s historic Monti district and the wrenching dislocation caused by rapid economical, political, and social change. 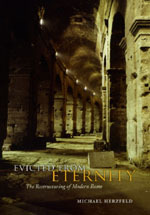 Evicted from Eternity tells the story of the gentrification of Monti—once the architecturally stunning home of a community of artisans and shopkeepers now displaced by an invasion of rapacious real estate speculators, corrupt officials, dithering politicians, deceptive clerics, and shady thugs. As Herzfeld picks apart the messy story of Monti’s transformation, he ranges widely over many aspects of life there and in the rest of the city, richly depicting the uniquely local landscape of globalization in Rome. Cheliotis, L. K. (ed.) (2012) The Arts of Imprisonment: Control, Resistance and Empowerment. Aldershot: Ashgate. The arts –spanning the visual, design, performing, media, musical, and literary genres– constitute an alternative lens through which to understand state-sanctioned punishment and its place in public consciousness. Perhaps this is especially so in the case of imprisonment: its nature, its functions, and the ways in which these register in public perceptions and desires, have historically and to some extent inherently been intertwined with the arts. But the products of this intertwinement have by no means been constant or uniform. Indeed, just as exploring imprisonment and its public meanings through the lens of the arts may reveal hitherto obscured instances of social control within or outside prisons, so too it may uncover a rich and possibly inspirational archive of resistance to them. This edited collection sheds light both on state use of the arts for the purposes of controlling prisoners and the broader public, and the use made of the arts by prisoners and portions of the broader public as tools of resistance to penal states. The book also includes a number of chapters that address arts-in-prisons programmes, making distinctive contributions to the literature on their philosophy, formation, operation, effectiveness, and research evaluation, as well as taking care to explore the politics surrounding and underpinning these multiple themes. Contributors (in alphabetical order): Michelle Brown, W. B. Carnochan, Eamonn Carrabine, Leonidas Cheliotis, Mary Cohen, Sarah Colvin, Alexandra Cox, andré douglas pond cummings, Léon Digard, Thomas Fahy, Stathis Gauntlett, Loraine Gelsthorpe, David Gussak, Yvonne Jewkes, Robert Johnson, Alison Liebling, Mike Nellis, Vincenzo Ruggiero, Aylwyn Walsh, Rachel Marie-Crane Williams. Cheliotis, L. K. and Xenakis, S. (eds) (2011) Crime and Punishment in Contemporary Greece: International Comparative Perspectives (Oxford: Peter Lang AG). This book constitutes the most comprehensive and authoritative single work on crime and punishment in contemporary Greece. Bringing together empirical and theoretical work, it sheds light on a wide array of themes, from trends in the quantity and nature of crime, to attitudes towards crime and criminal justice, to criminal justice policies and practices. Primary chapters are followed by discussant pieces from specialists of jurisdictions elsewhere in Europe and North America, a format designed to highlight the mutual relevance of criminological research on Greece and that addressing other contexts internationally. Tzanelli, R. (2011) Cosmopolitan Memory in Europe's 'Backwaters': Rethinking Civility. London: Routledge. Cosmopolitan Memory in Europe’s ‘Backwaters’ reconsiders the definitional relationships of ‘national character’ and ‘national heritage’ in the context of Western industrial modernity. Taking as a case study the Greek islands of Skiathos and Skopelos which served as cinematic locations for the blockbuster Mamma Mia! (2008), the book explores how national identity - once shaped by political, cultural and religious practices - can now be reduced to little more than an ideal, created and sold globally by Western industries such as tourism and film. Tzanelli argues how the film encouraged the development of regional competitions that further enhanced the emotive potential of a Greek nationalist discourse that projects the blame for regional favouritism onto Western agents and the nation-state itself. It also takes into consideration the historical background of this controversy, which finds roots in the religious heritage of the South-eastern Mediterranean region – in particular, the notions of Byzantine Christianity which the Greeks used to set against the Islamic traditions of their Ottoman colonisers to affirm their European civility. Cheliotis, L. K. (ed.) (2010) Roots, Rites and Sites of Resistance: The Banality of Good. Basingstoke: Palgrave Macmillan. Whilst the condition of a damaged ethical life has received due scholarly attention to date, only rarely is resistance to it conceived as an actual possibility with the potential of real effects on a macro-social scale. This is not just a curious lacuna in the literature. To ignore or miss concrete possibilities or even instances of resistance is to reinforce the apparent naturalness and inevitability of structures of injustice. The aim of this edited collection is to help address this epistemological neglect, exploring the multiplicity of motives, presuppositions, sites, ways, and consequences of acts of resistance. As shown in the ensuing contributions, resistance can be recalcitrant or transformative in its aims, discursive or physical in its means, and local or generalized in its loci. If there is a single argument that can be distilled, it is that the emergence of progressive resistance entails the incessant rational critique of so-styled 'common sense' and prevalent ethical claims–a process which could be called 'the banality of good'. 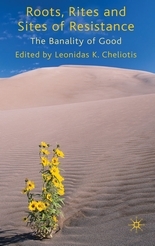 Contributors (in alphabetical order): Andrea Brighenti, Leonidas Cheliotis, Lilie Chouliaraki, Spiros Gangas, Richard Kearney, Alison Liebling, John O'Neill, Nancy Scheper-Hughes, Justice Tankebe, Ezra Tessler, Sappho Xenakis. Tzanelli, R. (2009) The 'Greece' of Britain and the 'Britain' of Greece: Performance, Stereotypes, Expectations and Intermediaries in 'Neohellenic' and Victorian Narratives (1864-1881). Saarbrücken:VDM (Verlag Dr Müller). The role Western philhellenism played in the production of modern Greek identity has been the object of extensive research. Scholars focused on the importance Hellenic culture acquired in European discourses of modernity and the maintenance of national and imperial self-images in the West. The present book re-conceptualises the historical emergence of such discursive frameworks as ‘gatekeepers’ of hegemonic and counter-hegemonic projects. The specific context it explores is that of Anglo-Greek cultural exchange in the third quarter of the nineteenth century (1864-1881). It is argued that Greece’s ambiguous attitude toward British demands for Greek modernisation, and British frustration originating in modern Greek irredentism and internal disorder, define the frame of resistance. Constant miscommunication between Greeks and Britons made co-operation impossible and assisted in the production of Greek counter-hegemony. The specific path of Greek modernisation, state, and nation-formation was developed in several key political/discursive conflicts around: (i) Crime and disorder, (ii) the rationalisation of historical past, and (iii) the nationalist project of the ‘Great Idea’. Cheliotis, L. K. (2012, forthcoming) 'Suffering at the Hands of the State: Conditions of Imprisonment and Prisoner Health in Contemporary Greece', European Journal of Criminology 9(1). Xenakis, S. (2012, forthcoming) 'A New Dawn? Change and Continuity in Political Violence in Greece', Terrorism and Political Violence. Cheliotis, L. K. and Xenakis, S. (2010) 'What's Neoliberalism Got to Do With It? Towards a Political Economy of Punishment in Greece', Criminology and Criminal Justice 10(4): 353-373 (Special Issue on 'Neoliberalism and Penality: Reflections on the Work of Loïc Wacquant'). Tzanelli, R. (2010) 'Islamophobia and Hellenophilia: Greek Myths of Post-Colonial Europe', in A. Vakil and S. Sayyid (eds) Thinking Through Islamophobia: Global Perspectives, pp. 213-230. London: Hurst & Co.
Herzfeld, M. (2010) 'Situating Theory: Dynamics of Condescension and Reciprocity in the Material Shadow of the Past', in A. Stroulia and S. Buck (eds) Archaeology in Situ: Sites, Archaeology, and Community in Greece, pp. 457-471. Lanham, MD: Lexington. Cheliotis, L. K. (2010) 'Greece', in N. Padfield, D. van Zyl Smit and F. Dünkel (eds) Release from Prison: European Policy and Practice, pp. 213-236. Cullompton: Willan Publishing.